A tough hole that requires a drive up the right side of the fairway or the safer alternative a faded drive down the middle - this is to compensate for the fairway having a natural contour that will take your ball to the left on landing. 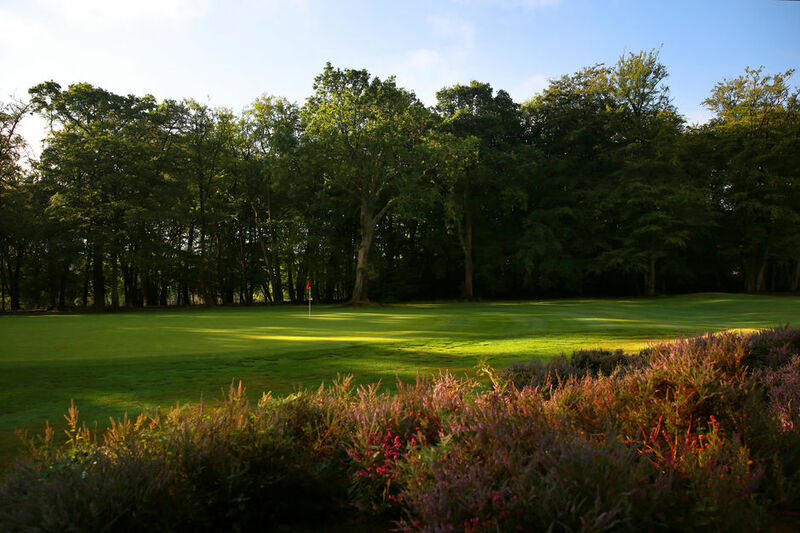 The second is to a green that slopes to the left - again a fade or a shot aimed at the right side of the green will be needed to hit the putting surface which is fairly flat on the right side but slopes steeply to the left on the left half. The distance is deceiving - do not be fooled as an extra club is in order here. Once on the green it is a challenge to take the regulation number of putts and secure your par - if you get one you can congratulate yourself - not many do!